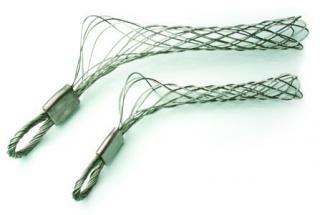 Woven Stainless steel cable with swagged loop to fit Piton Anchor, surveyor or concrete nail and roadside spike. Grip fits around road tube. Will not slip or cut road tube or tires. Our standard option is designed to fit 5/8" Grip for round tube (1/4" x 9/16"). Non Slip tube grip with even pressure. Robust and secure method of road tube anchoring.